How was the weekend? I stuck to my plan of dog park and not leaving the house again except to get a Lunchable yesterday because for whatever reason, I couldn’t stop thinking about stacking crackers, turkey, and processed cheese on top of each other. I did make marshmallows, though. Also had a full-on meltdown in front of my neighbors when I realized my kid had used all the cocoa powder and all I wanted was chocolate marshmallows. I’m a fun friend to have. 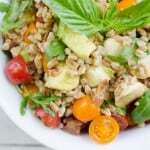 How do we feel about farro? I’m really into right now. 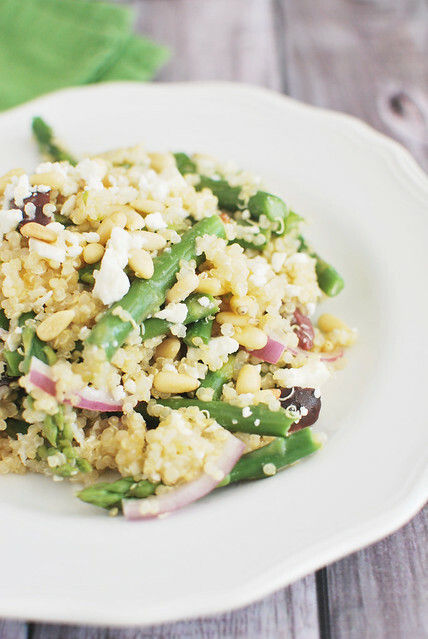 It’s a nice change from quinoa and I love the chewiness of it. Plus, it looks like Honey Smacks. And that makes me happy. 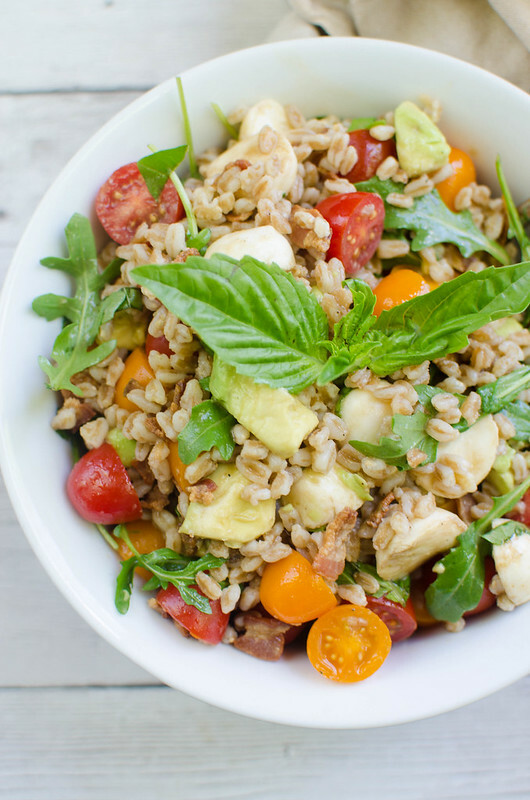 So this Farro Caprese Salad is everything you love about a caprese salad – the tomatoes, mozzarella, basil – but tossed together with farro, avocado, arugula and, of course, bacon. 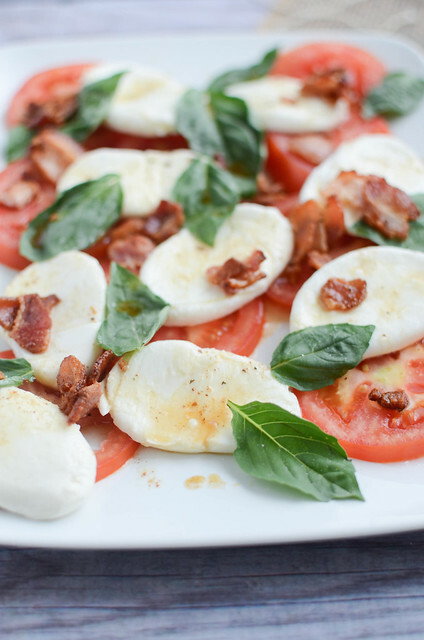 Because why would I not add bacon? And then I tossed it with a super quick and easy balsamic dressing. 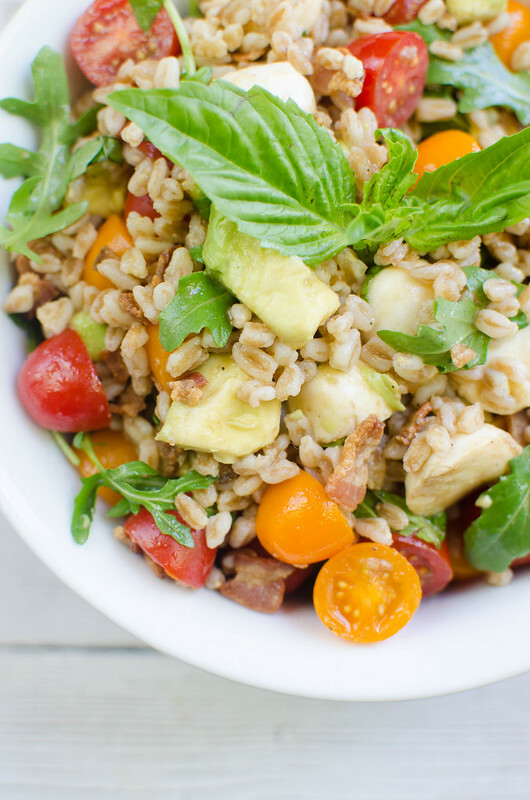 It’s super simple, all you have to do it cook the farro and bacon and then everything else is just tossed together. 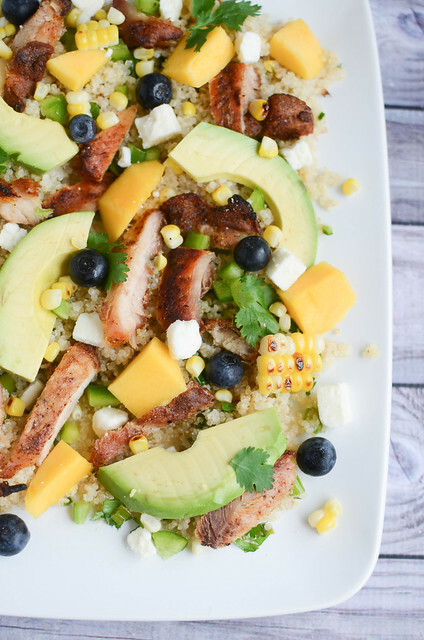 It would be perfect to make on a Sunday and keep in the fridge for quick lunches during the week or a quick dinner when you just don’t have it in you to cook something. Definitely wait and add the avocado before serving though because that will get gross quickly sitting in the fridge. 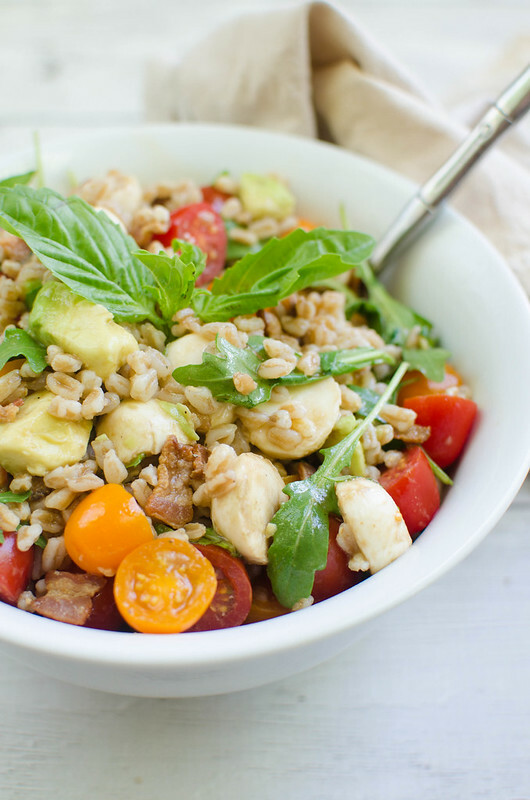 In a mixing bowl, combine farro, bacon, cherry tomatoes, mozzarella, basil, arugula, and avocado. In a small bowl, whisk together dressing ingredients. Pour over the salad and toss gently to combine.